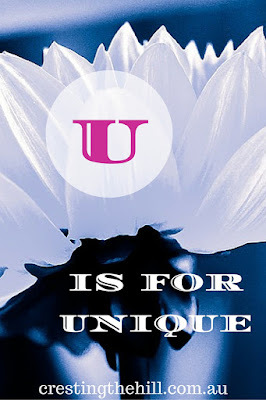 Next letter up for the A-Z challenge of Positive Personality Traits is U - and U is for Unique. Being unique is an all-encompassing personality trait. It incorporates authenticity and a dash of quirkiness. It is accepting yourself in your entirety and being comfortable in who you are as a unique individual. We all have traits that are unique to us - we all have different backgrounds, life experiences, family influences, good times and bad times. These things shape the individual personality we each have. A lot of times we try to squash some of those unique traits and turn ourselves into carbon copies of our peers. This never works for long - it makes us in-authentic and ultimately, unhappy. Learning to accept ourselves and our faults, along with our assets, is a huge step in finding that elusive inner happiness that we all seek. Trying to be someone you're not is soul destroying and draining, fitting into a box that we aren't designed for is the worst thing we can do with this life we've been given. We need to step out of the box, open our hearts and learn to love the unique (and maybe a little quirky) person we see in the mirror each morning. When you accept yourself and embrace your unique personality, you start to grow and flourish into the best possible version of you. You're not competing with others, you're not driving yourself to reach unattainable goals of movie star proportions. You are just being you and enjoying the journey. Life is short and becoming a cardboard cutout is not our ultimate aim - we should be aspiring to be so much more than that. Our 3D version is far more interesting than the 2D cutout. So why don't we accept ourselves for the unique and wonderful individuals that we are, then look at how we can use the talents and gifts we've earned over the years and make this world a better place. See you next time for the continuation of Positive Personality Traits -V is for Versatile. 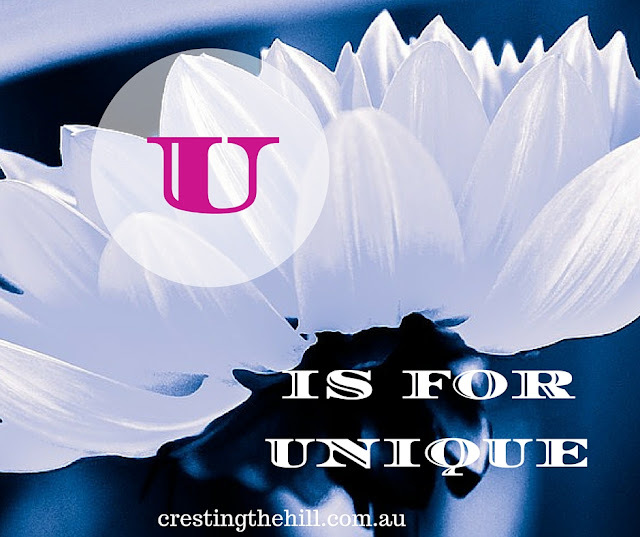 We are on the same page with 'U' Leanne I wrote about Unique and how we need to stop comparing ourselves. I think there will be a few Unique posts for this letter Sue - it's so important to remember to be your authentic unique self no matter what the world says. I struggle with this. In high school it was all about being like everyone else - not sticking out. And since I didn't always fit in, unique was not a valued quality. I like what Brene Brown says: Fitting in is about becoming someone in order to be accepted. Belonging is about being accept for who you are. I'm striving to embrace belonging and letting go of trying to fit in. I love that Brene Brown quote Molly - she is becoming my new go-to person for meaningful statements. I also really like the idea of belonging rather than changing yourself to try to fit someone else's mold - it never goes well. I've never felt as if I were unique, but rather ordinary. I think you'd be surprised Rena - your uniqueness shines through as far as I can see (who else would be taking their dementia beset mother on a big road trip?) Keep shining girl - and I want pictures of that trip when it happens - I think there'll be some hilarious moments! It's a midlife thing Deepti - we're finally finding ourselves - and LOVING it! "When you accept yourself and embrace your unique personality, you start to grow and flourish into the best possible version of you." Such a nice thought Leanne.Thanks for the tips. It helps a lot. So difficult not to compare. And the main cause of dissatisfaction. Its so easy to compare our kids too.. and then I begin to wonder how I would feel if my kids compared me to other kid's moms! :O That makes me stop and focus on accepting oneself. I think we all fall into the comparison trap occasionally Seena - the secret is to realize what's happening and pull yourself out - you're a great mum and I'm positive your kids know it! Don't we all fall into the trap of trying to fit into molds deigned the right one?! It took me quite some time to realize I couldn't keep trying to fit into these ill-fitting molds, I just don't conform to them! Very crucial to realize one's uniqueness and break away from the herd mentality! I so agree! Celebrate our uniqueness! Excellent writing on Uniqueness and all it encompasses. Great comments and replies, Leanne. You are the persona of positivity and encouragement. Thank-you! As you might have guessed, I pretty much fit in with the 'Quirky'...although most people don't think I 'Look' like I should. You are correct, it is very difficult for some of us to accept our uniqueness. I always think I want to be unique--but in a different way. It is important to br yourself, unique and sty true to your beliefs! Thank you so much for linking at #overthemoon! I look forward to seeing what you share every week. Please come back for #WonderfulWednesday or #ThursdayFavoriteThings. Don't forget to comment your link #'s so I can be sure to visit and get a chance to be featured! Pinned and shared. Unique is an important aspect of oneself to focus on. Thanks for sharing. All so very true to remember that we are unique and wonderfully made. Let's make the best of it. I love being uniquely me. Although sometimes, I do wish I were uniquely someone else, but those wishes are fleeting. I loved your last sentence, Leanne! Yes, we are all different and that's exactly thanks to it that we are able to complete each other. Otherwise, life would be boring and dull; and the world, without creativity and progress. 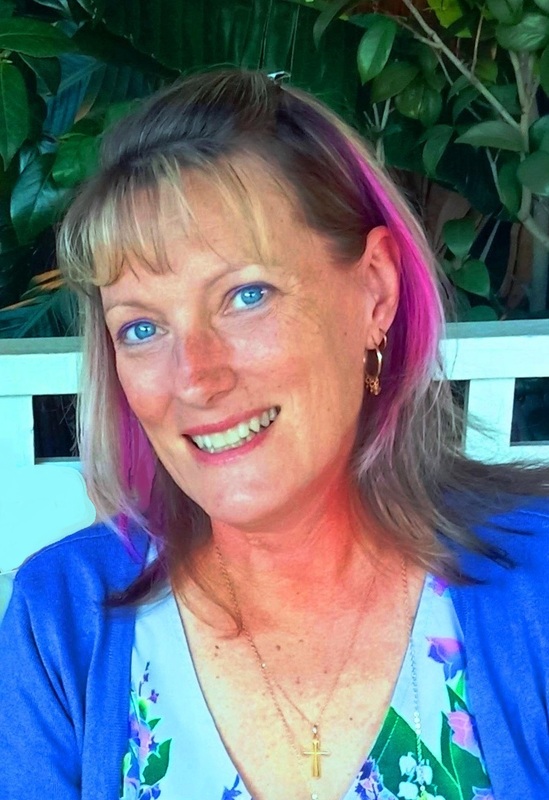 We need to embrace our quirkiness (loved that you chose that word!) -- it's part of what makes us "us." And I agree with Debbie about your last sentence; if we aren't using our uniqueness to add to the lives of those around us in some way, we are wasting a beautiful thing!